We are proud to live in a city and a region that are committed to making public transportation a viable, workable option. Public transportation is good for the environment. It is also a healthy option since those using public transit are more likely to walk for a portion of their commute than drivers using their own private vehicles. 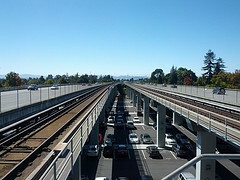 Public transportation systems such as The San Francisco Municipal Railway (“Muni”) and Bay Area Rapid Transit (“BART”) also shape a region’s identity and promote a sense of unification. Nonetheless, public transportation accidents are an unfortunate reality. Even a single-vehicle crash can impact dozens of travelers. As a San Francisco public transportation injury lawyer, Attorney Greg Brod helps these victims. Whether dealing with a Muni crash in town or a BART accident anywhere in the region, Attorney Brod helps injured people recover the compensation they need and deserve. On Monday, The San Francisco Chronicle published a column titled “BART’s Track Troubles Can’t Be Ignored.” The report, a must-read for users of the rail network, suggests that hazardous and/or deteriorating tracks may put the safety of thousands at risk. In recent years, public officials have focused on expanding BART’s reach and its operating hours; twin goals that may come at the expense of maintenance on existing lines. BART opened in 1972 (43 years ago). Since then, only about 20% of the tracks have been replaced. In contrast, federal officials estimate tracks have a 25 year life span while BART officials say tracks should last 20 to 35 years depending on location. BART plans to slow train traffic at more than three dozen locations because track conditions could put travelers at risk. At one site, between the Oakland Coliseum and Fruitvale stops, officials plan to shut down for 11 weekends while workers replace some 3,000 feet of worn rail and 1,000 wood ties that have degraded. Shutdowns are also planned on the elevated crossover rails near Daly City, San Leandro, and Bayfair to work on interlockings, the places where trains switch tracks. An anonymous insider explains: “[BART officials] are afraid a tie could come loose, cause a derailment and send a train plunging off the tracks.” Officials say that the system needs “a complete overhaul,” a $4.8 billion project. The risk of derailment is real. One site in Concord has seen two derailments in the last five years. In early 2013, an incident left a (thankfully, empty) train car teetering off the side of elevated tracks. Officials eventually blamed “a slight jog in the track.” The previous derailment occurred in March 2011 when a wheel slipped off the rails. That accident was blamed on uneven track wear and flawed wheel maintenance. While no one was seriously injured, 65 people had to be evacuated. There are special laws and procedures applicable to accidents involving public transportation. Mass transit systems are deemed common carriers. While typical drivers owe a duty of ordinary care, common carriers have a much higher duty. As explained by section 902 of the California Civil Jury Instructions: “Common carriers must carry passengers [or property] safely. Common carriers must use the highest care and the vigilance of a very cautious person. They must do all that human care, vigilance, and foresight reasonably can do under the circumstances to avoid harm to passengers [or property].” This rule is codified in Civil Code Section 2100. The common carrier standard provides an extra level of protection to the public. However, an injured person can only take advantage of this standard if s/he follows the special rules for bringing a claim against a government authority. In addition to special procedures, there is a greatly reduced limitations period. A would-be plaintiff must file a claim document within six months of the underlying incident. This is in contrast to a two year limitations period applicable to most personal injury claims. If you are injured or lose a loved one in a mass transit accident Northern California, you may have a legal claim. Given the shortened time frame, contacting a lawyer as soon as possible is particularly important. Attorney Brod has the knowledge and experience to serve as a mass transit lawyer in San Francisco and throughout the Bay Area. Call to schedule a free consultation.